Help! I’ve splashed my best shirt with red wine…. It happens a lot! It’s gone midnight and You’re enjoying a fun night in one of the many Chiang Mai bars when disaster strikes- You Spill red wine all over your best shirt!!! Don’t panic, even if you can’t get to a laundry straight away you can still save the shirt. 2. 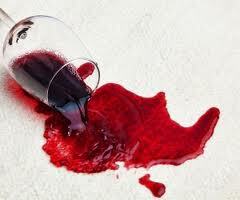 Continue applying the soda & gently rubbing until the stain is really feint. 3. Let the shirt dry. 4. Give us a call in the morning and we’ll come and pick up your shirt and get it back to you the next day looking like new! !